Educational Sales and Marketing Expert Jenna Engel Changes the Way Your Members Will View Their Sales and Marketing from Separate Teams to One Smooth-Running Lead Generation Engine. Topic: Build A Content Marketing Strategy Around Your Customer's Buying Process! During the workshop style presentation members will learn how to aligning their growth goals with their marketing efforts, how to create an effective marketing strategy that fits their buyer's journey, and how to track the return of all marketing investments. The goal is to understand the buyers and the channels they spend time in to understand how to attract qualified leads to your website. LinkedIn, Facebook Ads, Adwords, Instagram and more. B2B Smarketing (Sales and Marketing Alignment) Getting All Members on the Same Team: Team Revenue! Request Jenna as an educational speaker for your organization's next meeting. 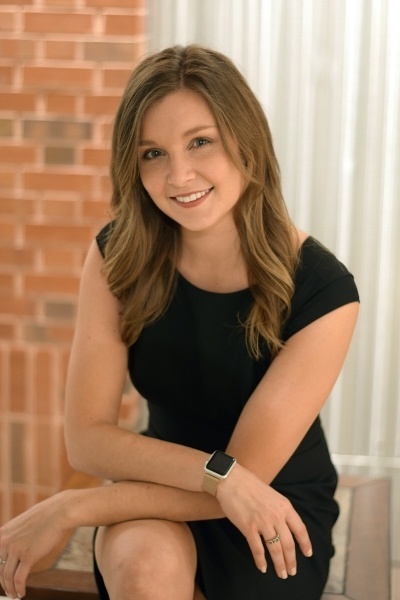 Jenna Engel is a sales and marketing expert, challenging the way business leaders, organizations, and professionals think about marketing and sales. Request Jenna as a presenter today! Sign Up to have Jenna speak At your organization today! Jenna’s educational approach during her workshop appealed to many of the Minnesota Construction Association members like myself. She spoke with knowledge about our industry and related well to mid-sized businesses. It enlightened and challenged me and my team to think differently about our marketing and our website – as an opportunity to create ROI and growth-driven results, similar to how we measure the success of our sales team." Fantastic feedback from our members, and I think it's going to be well worth your time to reach out to Jenna to put on a presentation for your organization."